As a software programmer, I discovered the physical outlet of racing. 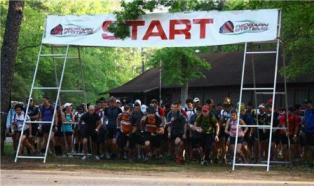 In 2004, I started participating in Adventure Races. 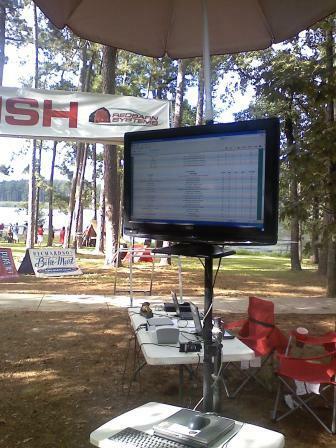 With each race, I would contemplate creating a system for posting race results. In 2009 at the Dirty Dozen I approached Scott and Kathy of Terra Firma to pitch creating a timing software simplifying the race results process. Haven’t ever been involved with race timing, I believed that races started, races finished and awards were handed out. It was magic! It did not seem complicated. Well I was wrong, one thing lead to another and then the “could you dos” and the “we need to have” and the “it has got to do” turned into the complete timing system currently in use today. The software automatically generates a final html file for results to be posted in real time. Those results are displayed on a large screen and to our website. Now Grandma can track the progress of the race from the comfort of her rocker.